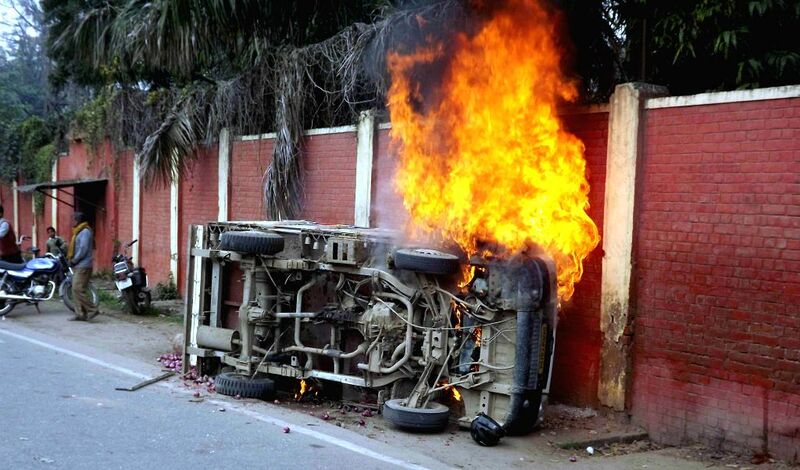 Allahabad: A vehicle that was torched by an irate mob in Allahabad on Feb 11, 2015. Reportedly the mob was chasing three men after they had shot at a local villager. One person was killed.